Superdry men’s LA joggers. 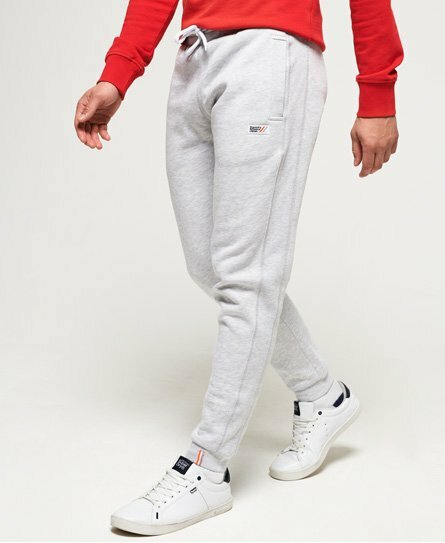 Be comfy with the LA joggers, featuring drawstring fastening, elasticated waist and cuffed ankles for maximum comfort and two front pockets and one back pocket. These joggers are completed with a Superdry logo tab on one the front pockets and ankle and a Superdry Athletics Japan logo badge on the leg. Complete the look with one of our long line tees.